Your menu should be all spelled out…all typed out on your website, NOT just an image or PDF of your menu. There are 3 good reasons why you should type each menu item directly on your website. You can see it, you can almost smell it and taste it. It brings back memories. You gotta have that dish! Every item represents a possibility for your website to get indexed by the search engines. This is website content and Google has these digital robots which scan every website and every page of every website to determine which search result to show. As the old saying in marketing goes,”The more you tell, the more you sell,” comes into play here. When you list and describe each dish, you’re fueling search engine optimization, and at the same time, you’re serving your customers better. More (mouth-watering) information will certainly have a positive effect on a potential customer’s decision to eat at your place. Broccoli, over Pasta, then you have something someone may be looking for in a voice or internet search. 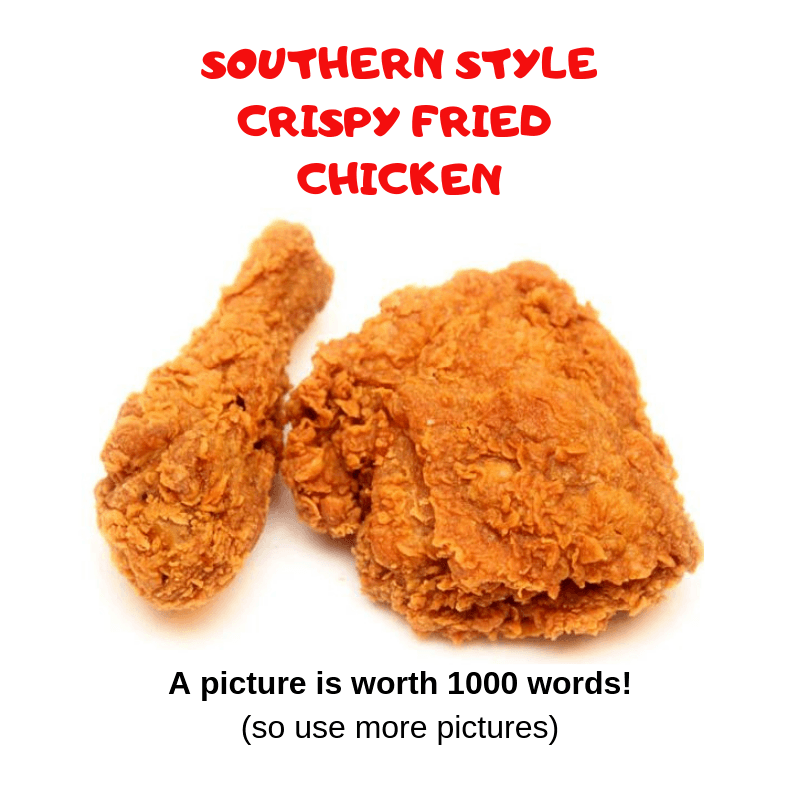 Get a photo of every menu item and make a page for it on your website. Use that page to go as deep as possible with the description of the item. if there’s a STORY behind the dish, TELL THE STORY! Was it your grandmother’s recipe? Did you help out in the kitchen while mom was making this dish for your family. People love stories. Tell them wherever possible. Now, create a link from the item on your online menu to the page you made specifically for this item. This is more than most other restaurants in the world, BUT, it’s an amazing service to provide to your customers, and the search engines will reward you by sending more eyeballs attached to humans with hungry bellies to your website and ultimately, to your restaurant. These photos and page links will do wonders for your marketing if you post them on social media: Facebook, Instagram, Twitter, Pinterest, and on all the review sites like, Google, Yelp, and Trip Advisor. These ideas will turn your website into a better customer acquisition machine.